The open house will be held on August 19 in Urban Roots' new workshop space behind the former McDonalds at 1059 Wealthy SE. Drive through nearly any major metropolitan city in 2015, and you will quickly discover abounding hints of urban agriculture sweeping across the concrete jungle. Hoophouses, beehives, edible landscapes, urban orchards and rooftop gardens are persistently migrating from the city’s rural counterparts into the dense urban core. Whether developed from new urbanist planning, job training programs or an increasing interest in enhancing local food systems, the growing movement of urban agriculture and place making is daily becoming a larger part of the conversation for city-dwellers in the 21st century. Founded in 2013 as a small LLC, Urban Roots has recently become a nonprofit in Grand Rapids, dedicated to all things urban agriculture. 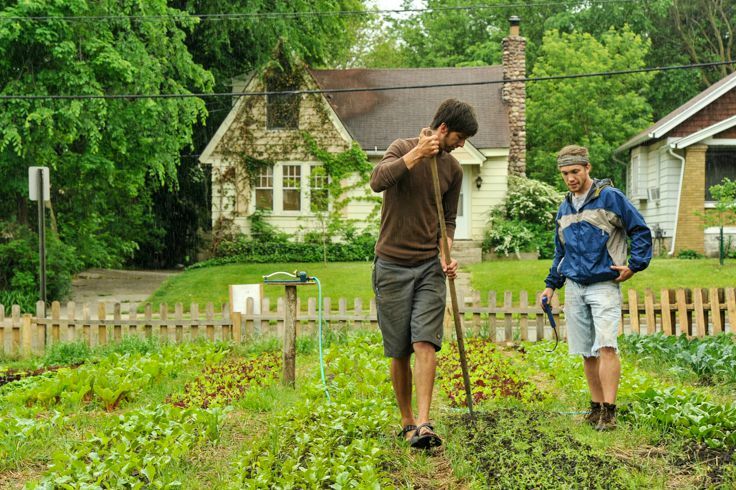 Originally developed as a small LLC to maximize organic production on small abandoned lots, Urban Roots has recently become an incorporated nonprofit. 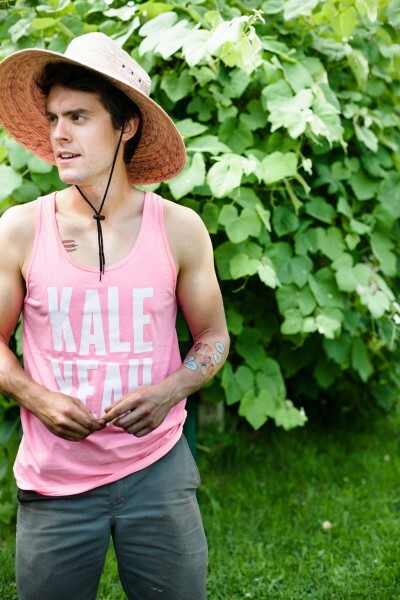 It now has the goal of working with individuals, businesses, students and organizations to reimagine their lawns and their dinner plates to develop a more just and equitable food system. On August 19, Urban Roots will be having an open house at our new workshop space. Behind the former McDonalds at 1059 Wealthy SE, from 6:00 – 9:00 p.m., we want to invite anyone interested in urban ag – from architects to homeowners, from food pantries to policy makers – to come learn about the incredible potential for hyper-local food production and community engagement in Grand Rapids. Whether you are interested in biointensive growing, circular economies, permaculture design or you just love great food, we welcome you to join us! 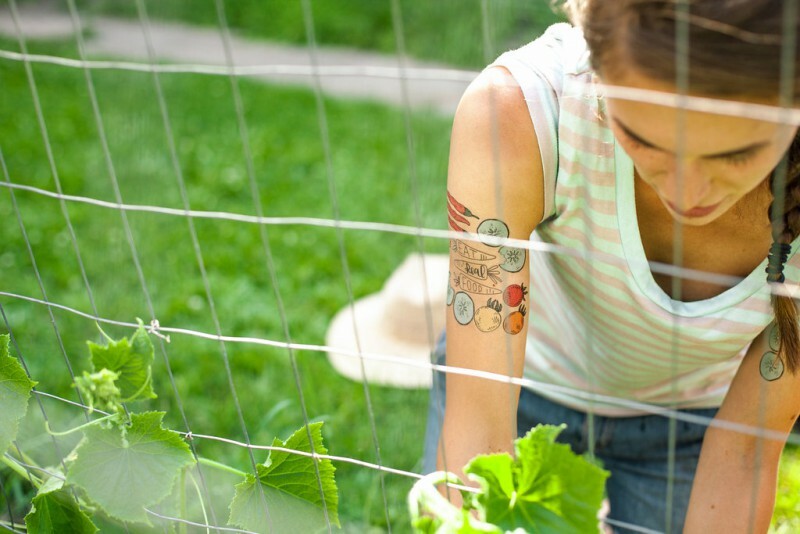 While you are here, you can pick-up some tater tats (vegetable-themed tattoos), get a walking tour to one of our urban micro-farms, see a slideshow of some of our design work in the last year, or taste-test some greens grown within the city center. The team at Urban Roots, comprised of some of the finest people in this beautiful city, will be there to answer questions, share their passions and tell a wide variety of terrible vegetable jokes. More information is available here. We can’t wait to meet you.